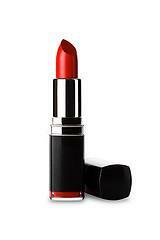 Lipstick ingredients may vary widely from manufacturer to manufacturer, but most tend to have common elements. They all want to perform the same job, and that's to make your lips as pretty as possible. Perhaps you're wondering what you put on your precious lips every time you apply lip color, especially after a slew of reports late in 2007 that revealed lead is in many of the most popular lipstick brands. Although women don't usually make an effort to eat their lipstick, any time you lick your lips, eat or drink anything, trace amounts of lip color do get ingested. Even though the lead was found in trace amounts in most cases, for anyone concerned about taking in harmful chemicals, this was a wake-up call to the makeup industry and to consumers, especially when you hear that reportedly, we consume approximately four pounds of lipstick in our lives! Wax: Whether it's beeswax, candelilla wax, or camauba wax, this is the ingredient that allows the mixture to take that recognizable lipstick shape. Wax enables the lipstick to be formed into a tube. Just think: thousands of years ago, the ancient Egyptians applied makeup like pros, but there were no shops or businesses around. They made their own cosmetics from natural ingredients. If you love your makeup, but like natural or organic brands, there are plenty of offerings for you. Many of these companies take care to list the ingredients they put into their products. You don't have to mix your own products at home, unless you like experimenting; there are well-known companies who offer more natural cosmetics so you don't have to wonder if your lipstick ingredients are safe. Aubrey Organics - They carry a line of naturally beautiful lip colors in shades of red, pink and mocha at affordable prices. All Natural Cosmetics - Lipstick ingredients are clearly listed at this site, as well as cosmetic codes such as FF for "fragrance free" and GF for "gluten free," if these are any of your concerns. You'll find a short list of ingredients such as shea butter, jojoba oil, castor oil, mica and vitamin E in their lipsticks. Natural Solutions - This is another site that lists exactly what goes into the cosmetics they offer, which is great for the buyer who prefers products as natural as possible. Keep in mind that natural cosmetics sometimes contain trace amounts of harmful chemicals as well. Lead is, after all, something you find in nature. However, if being able to recognize and pronounce the ingredients in a product is important to you, buying natural is one way to ensure that. Whether you like drugstore brands or prefer to shop for cosmetics only in department stores, lipstick ingredients will be remarkably similar. So if you're a fire engine red kind of girl or a more natural, pale pink lady, the basic ingredients will still get you what you want: that perfect pout. .